The fermenter room. 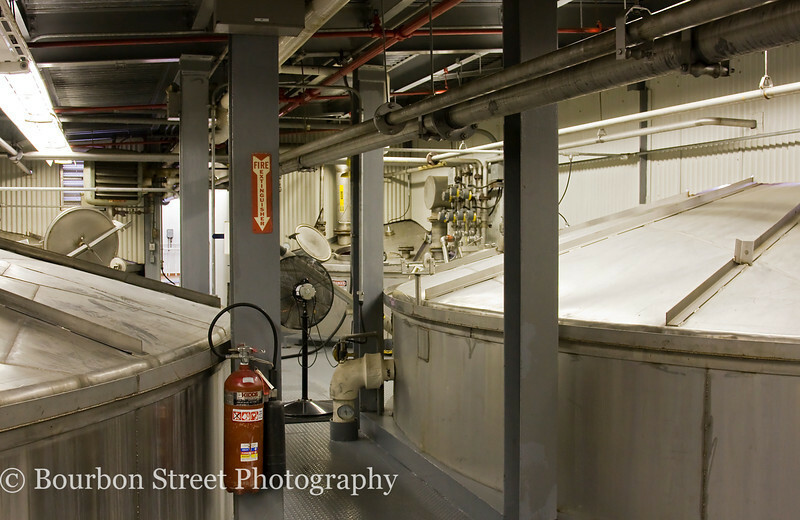 In these tanks the yeast is added to cooked mash to convert sugars into alcohol. A single strain of yeast is used for all their whiskey. Heaven Hill contracts an outside firm to culture their proprietary yeast strain and deliver it back to them in dry form.